Please pop in and visit in order to see our wonderful facilities- seeing is believing! Our most prized possession among other things is our wonderful garden. 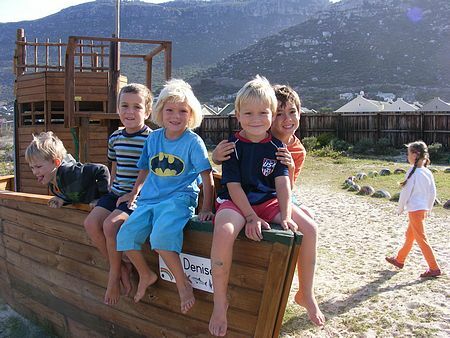 It is a garden where children can run, climb, explore and learn through doing. In the center of our garden surrounded by an enormous sand pit is our amazing jungle gym, certainly the best in the Valley. It was designed with children in mind and build around a set of hexagonal shapes. It has 3 levels, each level consisting of hexagonal bases joined together by wooden bridges, ramps, ladders, monkey bars, a fireman’s pole and slides down into the sand at the bottom. A true children’s paradise, made to improve, strengthen and develop all the gross and fine muscle groups needed for children to learn effectively in the classroom. 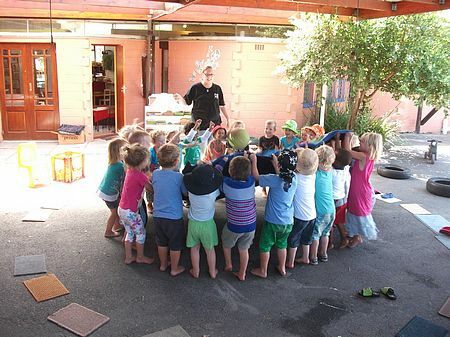 We have a covered sand pit, a water play area, a soccer field equipped with a set of goals, a beautifully decorated ‘fairy garden’ with a rabbit run and 3 gorgeous rabbits, Peter Rabbit, Midnight and Pebbles, as well as an enormous wooden Pirate Ship, ‘The Denise,’ from which our school flag flies! Thanks to our wonderful parent body, we also have a functional vegetable garden, that the children visit and learn from. Our kitchen scraps are collected daily and used to make compost. In the pipe line is a woomery. Our school building is large and integrated. We have 6 large classrooms to accommodate our children between the ages of 2 and 6 years and an area for the Aftercare to do activities and play during the afternoon. Our newly renovated kitchen is well equipped and is used daily to make lunch and afternoon snacks for the children. Our office is within easy access from the double gate facility with fingerprint and card access. Each classroom, office and garden area is monitored by CCTV cameras. We have recently upgraded our building to meet the new Fire and Safety regulations, including fitting 3 push-bar exit doors and 30min fire walls and doors. Our school is well equipped with educational materials, books, puzzles, games and educational toys as well as art materials and utensils. 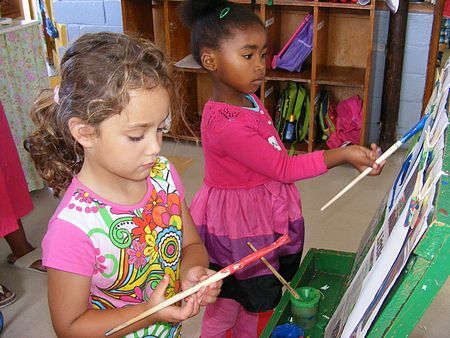 We use these on a daily basis for the children in order for them to enjoy art activities, baking and quiet time activities. Our educational materials extend into our garden where daily the teachers set up different obstacle courses, movement exploration and adventure areas for the children to explore and experience. Four wooden sheds house our resources in order for us to have enough equipment for rotation and variety. 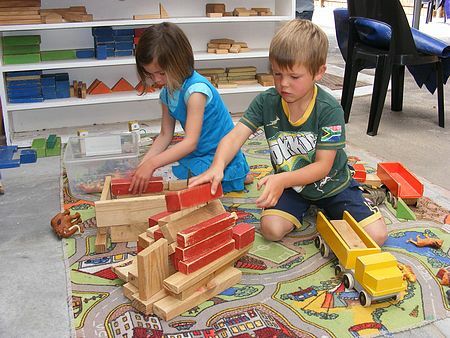 A few years ago we developed an area under cover to extend the motor development of our children. 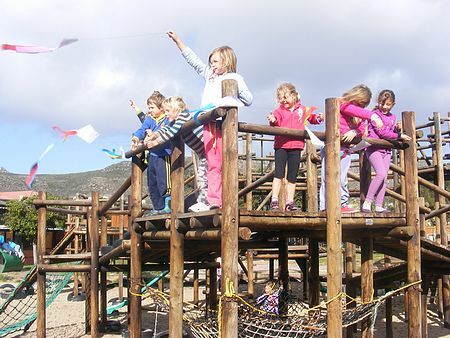 Ropes, ladders, hammocks, and ramps are set up and the children under supervision are taken in small groups to use this exciting area.